What do the Labour party, Bernie Sanders and The Bristol Cable, a community-owned newspaper, have in common? They’re using ‘barnstorms’ to gain new members and support. So what is a barnstorm? These hour-long mass meetings are based on distributed organising (a theory mentioned in Rules for Revolutionaries: How Big Organizing Can Change Everything) where clear strategy is shared with interested activists/members who are asked to pledge a commitment to spread the word and take action. People can get involved at different levels but crucially the key is to catalyse leadership within the group, and ask for members to support self-organising groups who all work under the clear strategy. Barnstorms were used in the surprisingly effective Bernie Sanders democrat campaign in the USA and behind the huge gains of the Labour party here in the UK. 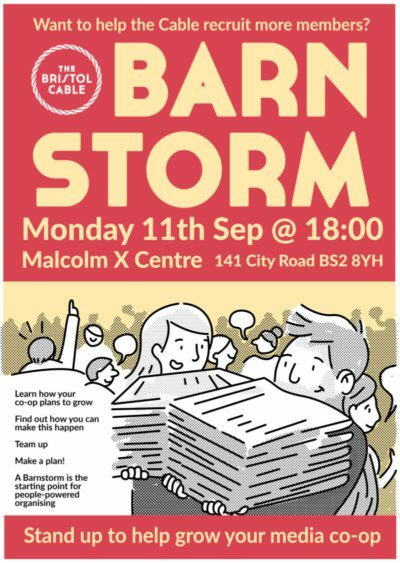 Barnstorms are just one of the political and campaigning tools which can aid community businesses improve community engagement. So next time you see a campaign take off, ask yourself how they are doing it.